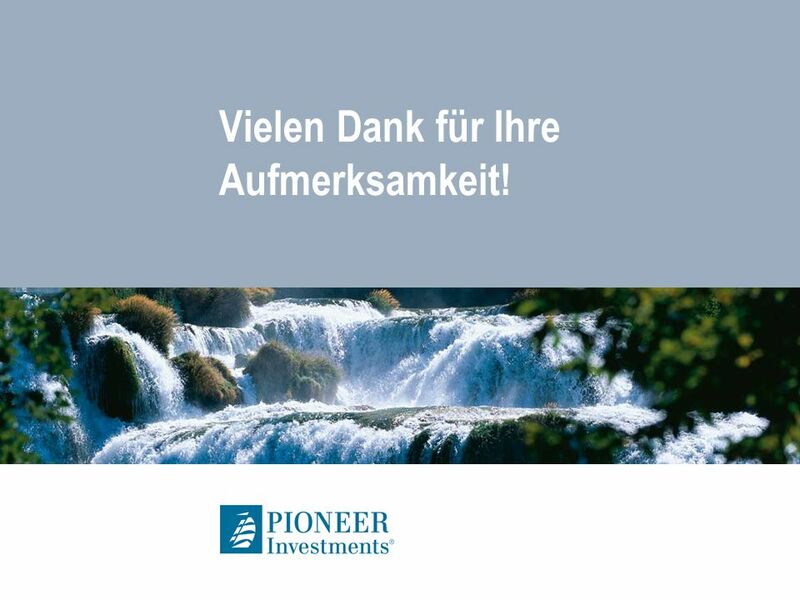 U.S. Economic and Market Update Fund Focus: Pioneer Funds – U.S. 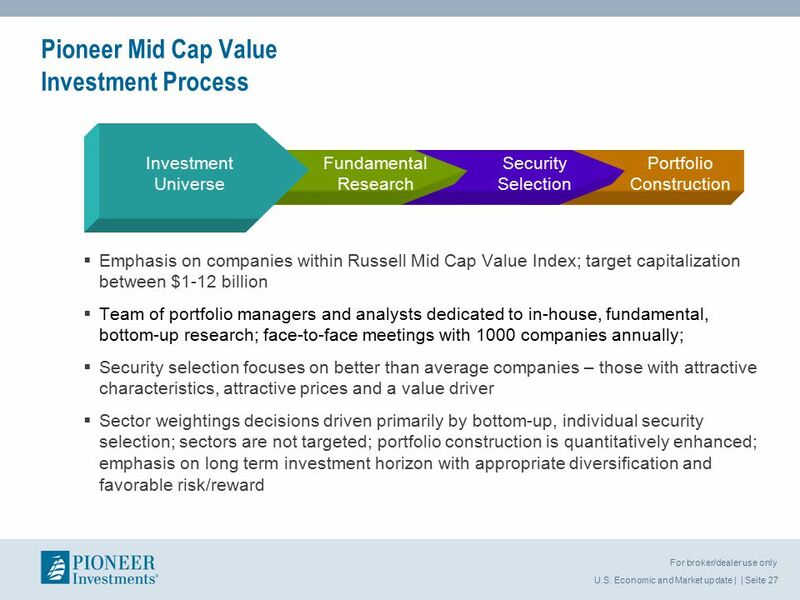 Mid Cap Value Samuel A. Wardwell, CFA Senior Vice President, Director of Investment Communications. 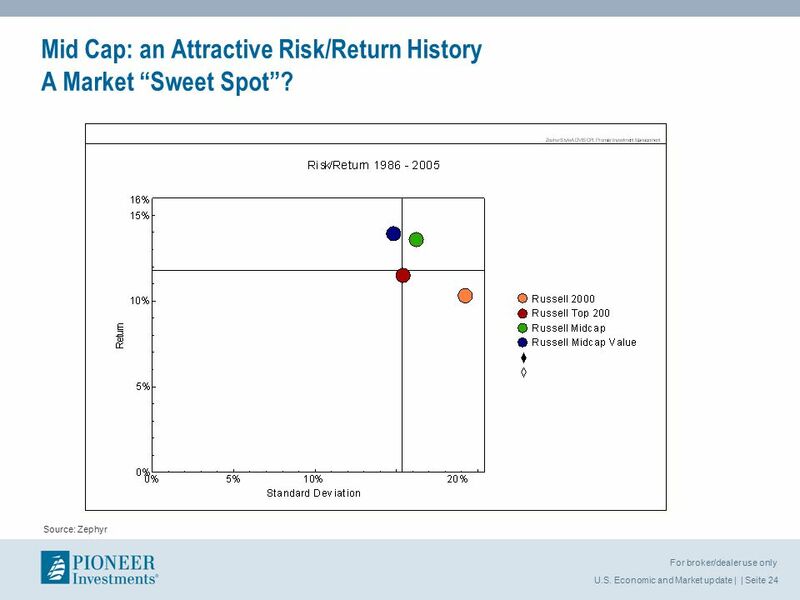 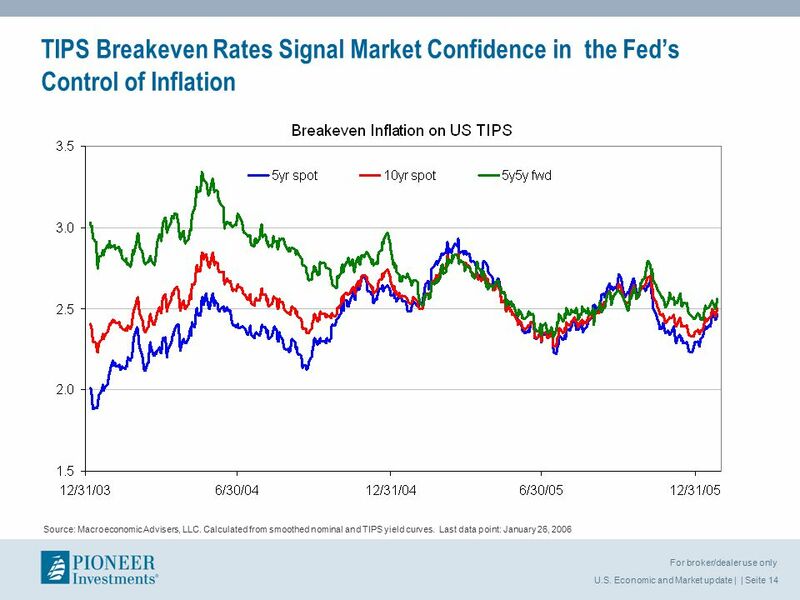 24 U.S. Economic and Market update | | Seite 24 For broker/dealer use only Source: Zephyr Mid Cap: an Attractive Risk/Return History A Market “Sweet Spot”? 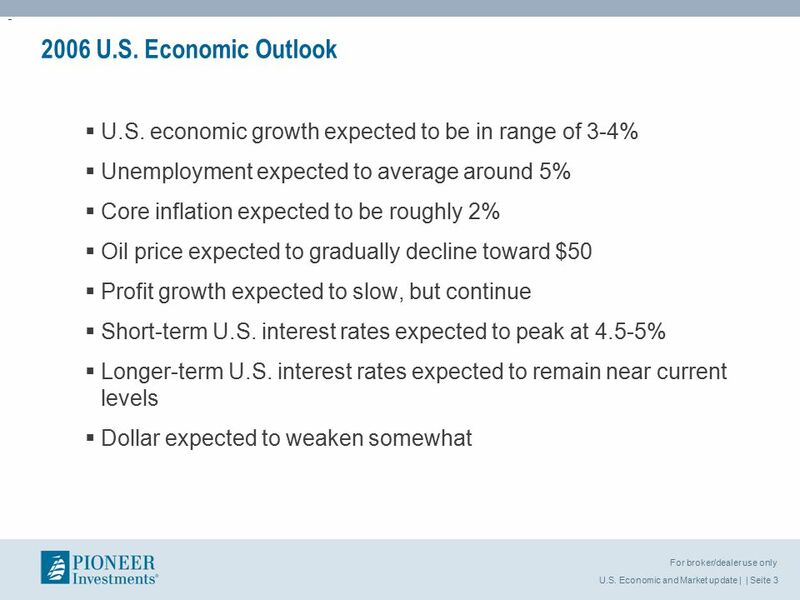 37 U.S. Economic and Market update | | Seite 37 For broker/dealer use only Portfolio Manager J. RODMAN WRIGHT, CFA, Senior Vice President and Portfolio Manager Connecticut College, B.A. 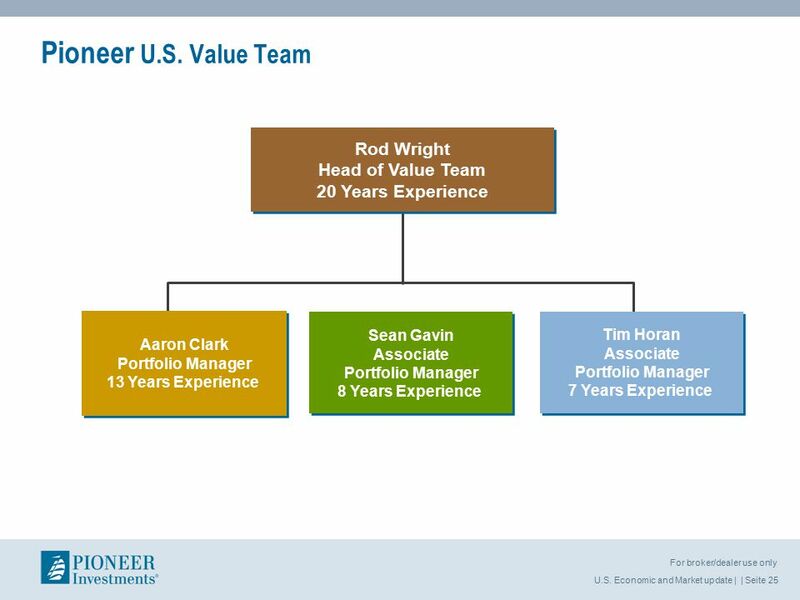 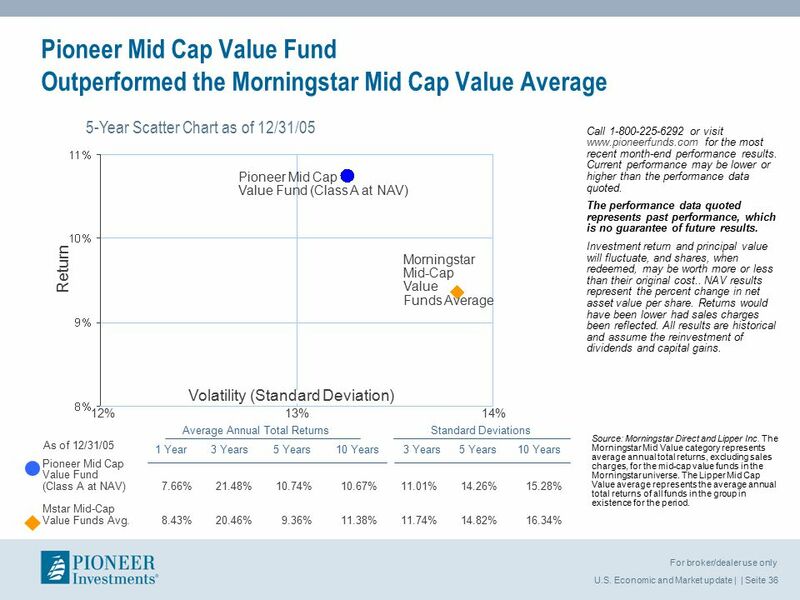 (1984), New York University Graduate School, M.B.A. (1988) Joined Pioneer in 1994 Mr. Wright is responsible for management of the Pioneer Mid Cap Value Fund and the related Vision Variable Annuity Mid Cap Value Fund, as well as the offshore version, Pioneer Funds – Mid Cap Value Fund. 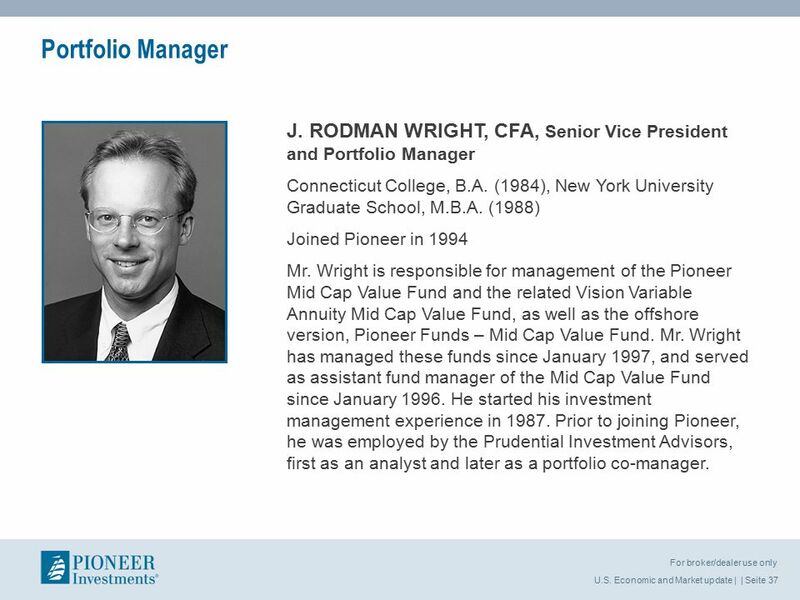 Mr. Wright has managed these funds since January 1997, and served as assistant fund manager of the Mid Cap Value Fund since January 1996. 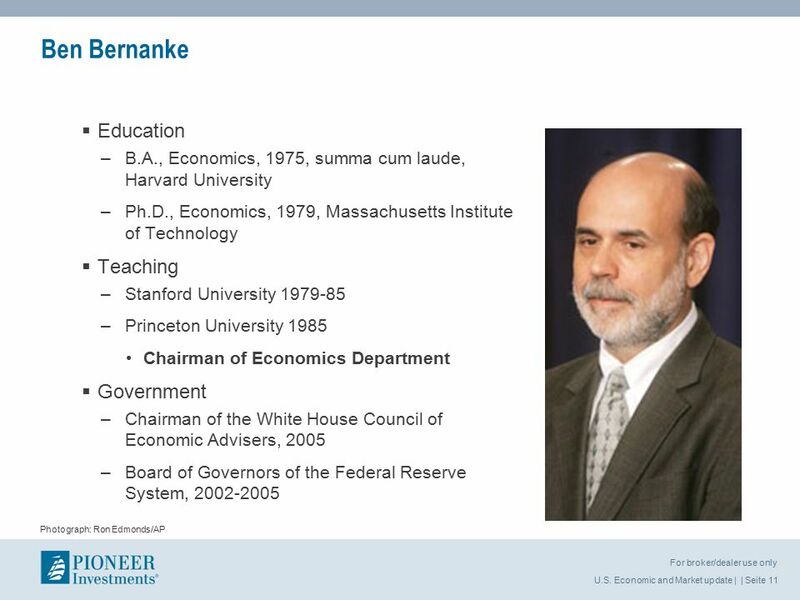 He started his investment management experience in 1987. 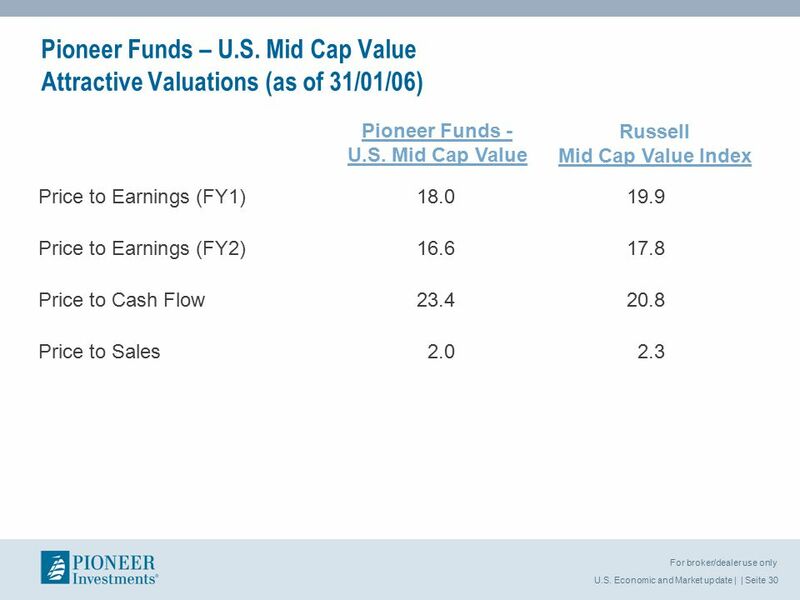 Prior to joining Pioneer, he was employed by the Prudential Investment Advisors, first as an analyst and later as a portfolio co-manager. 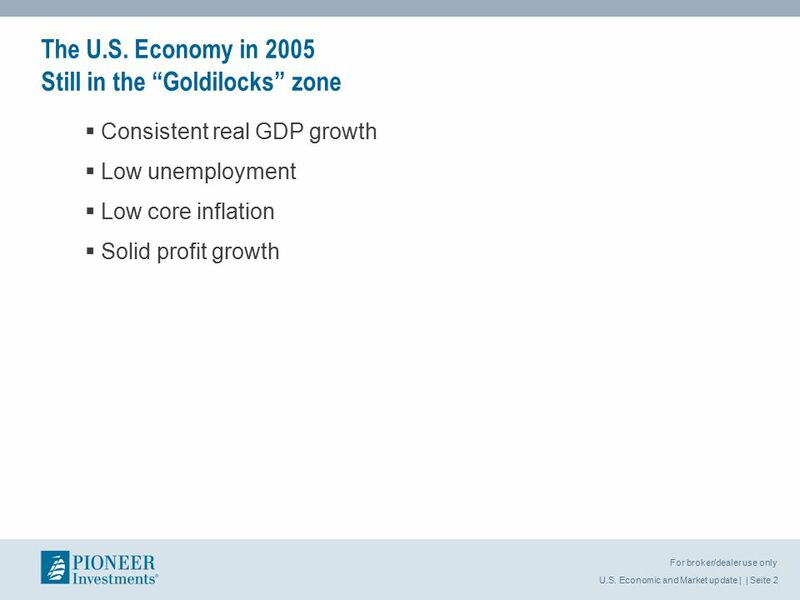 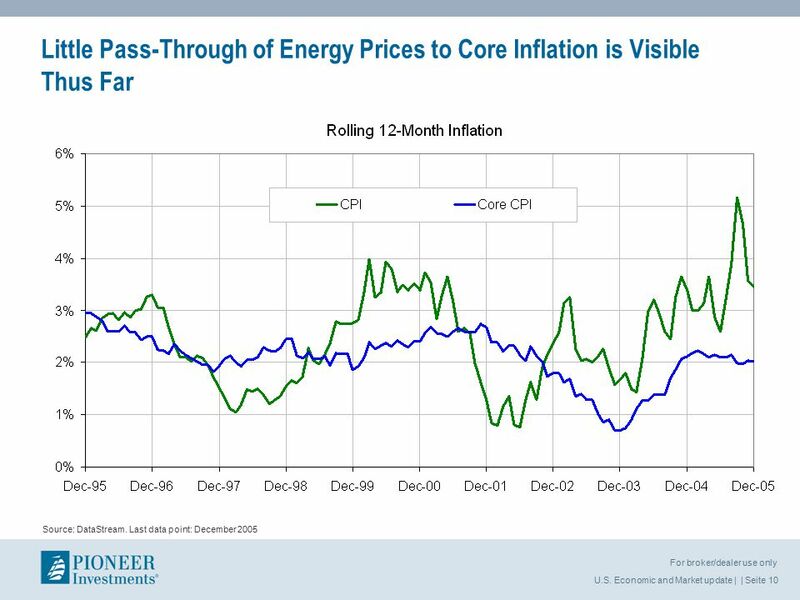 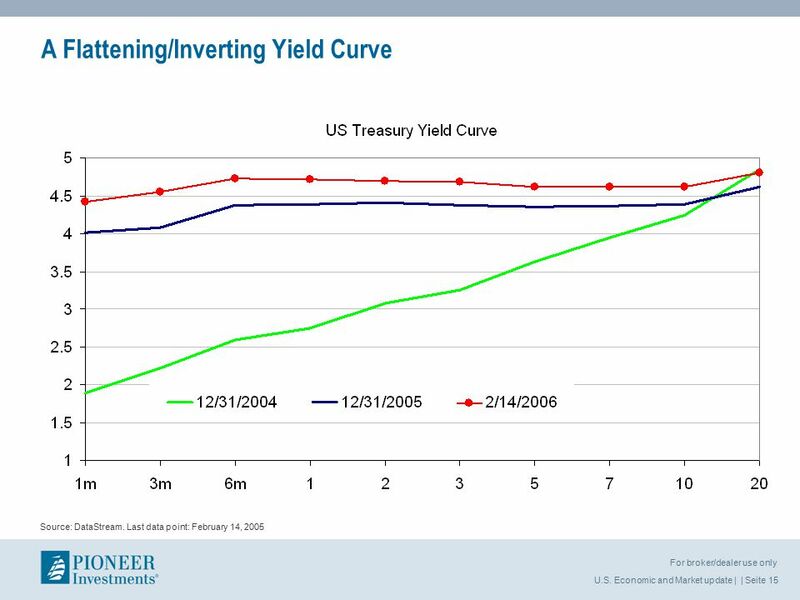 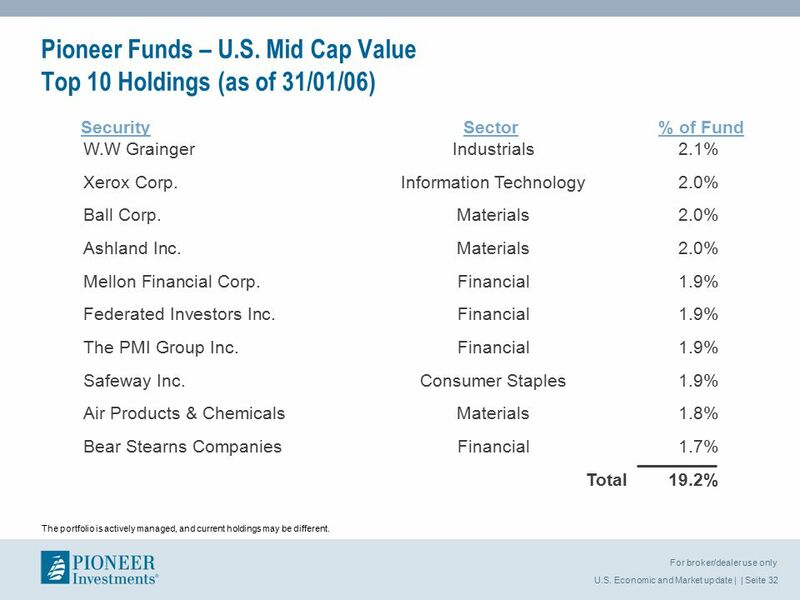 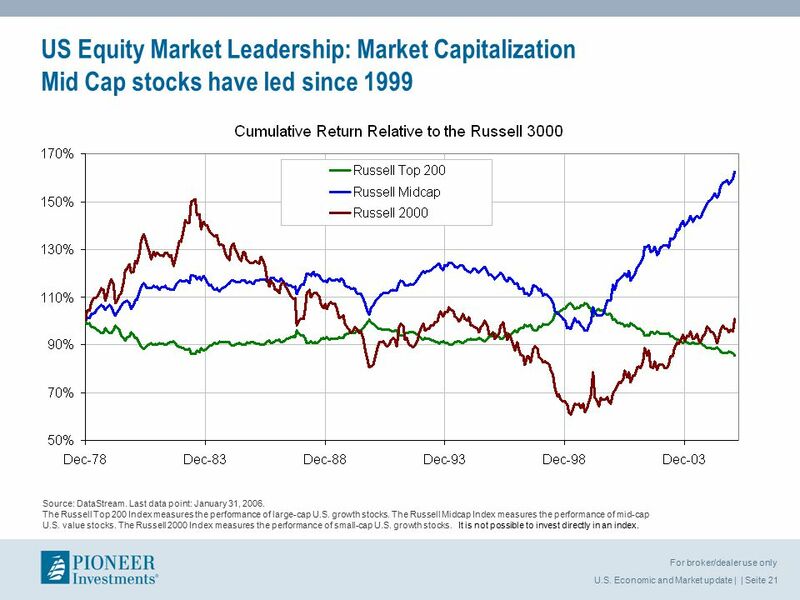 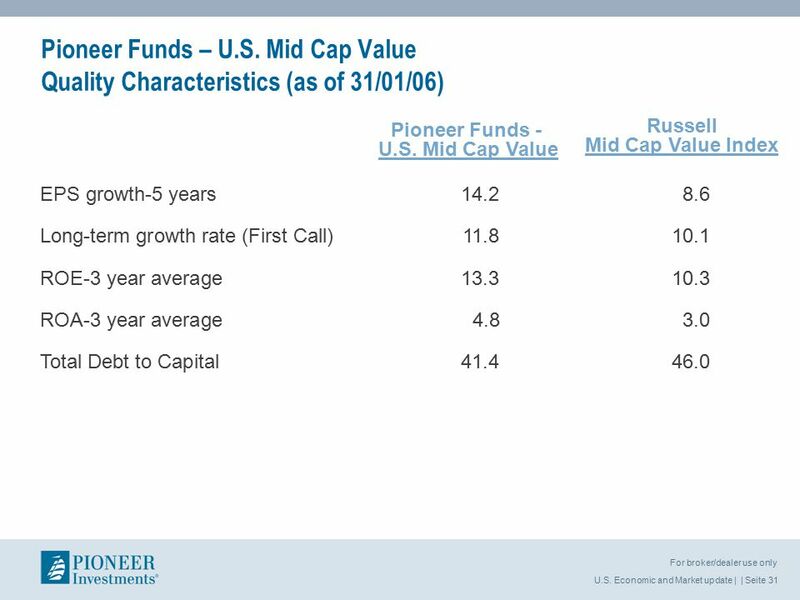 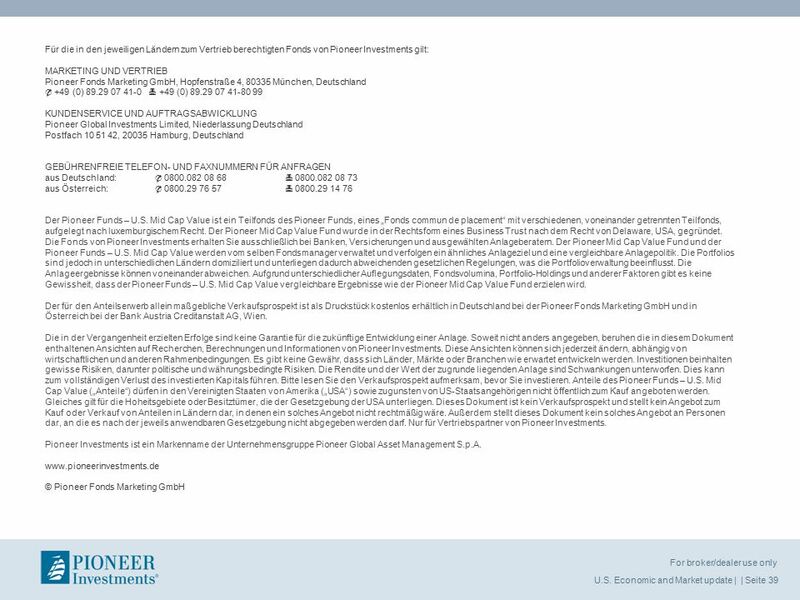 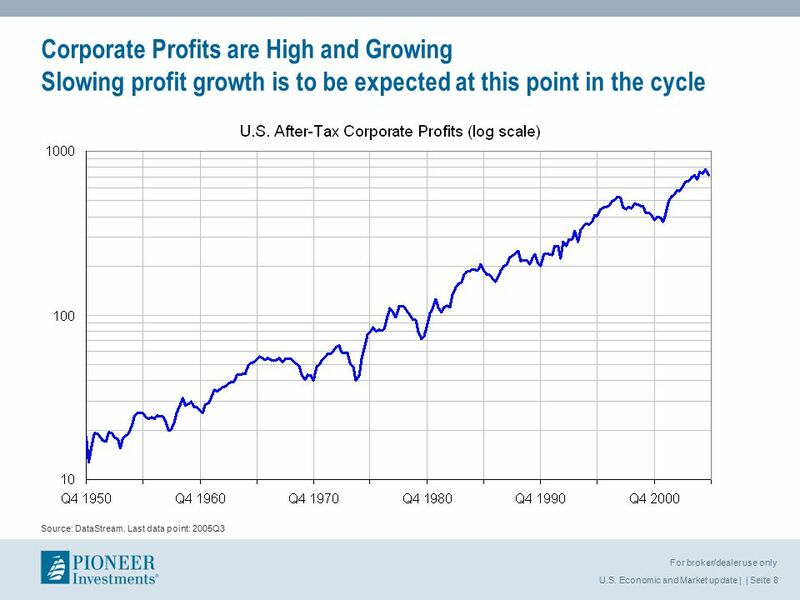 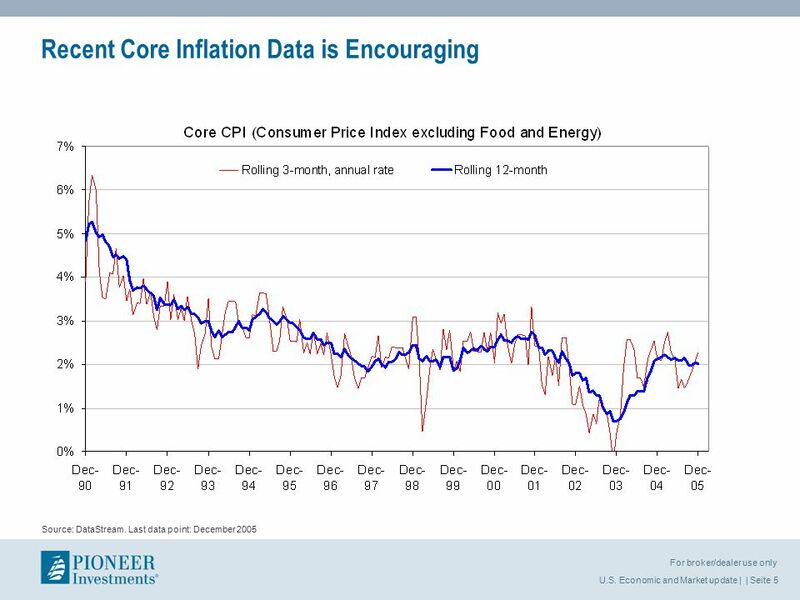 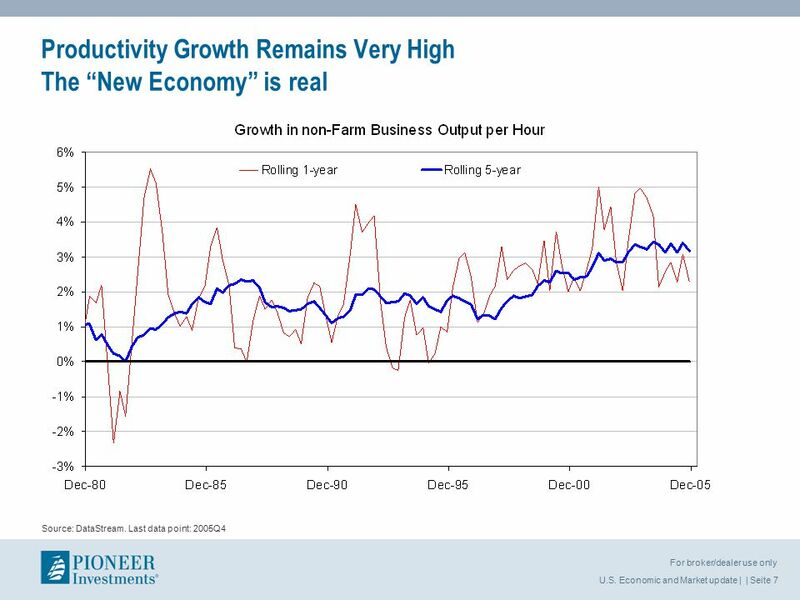 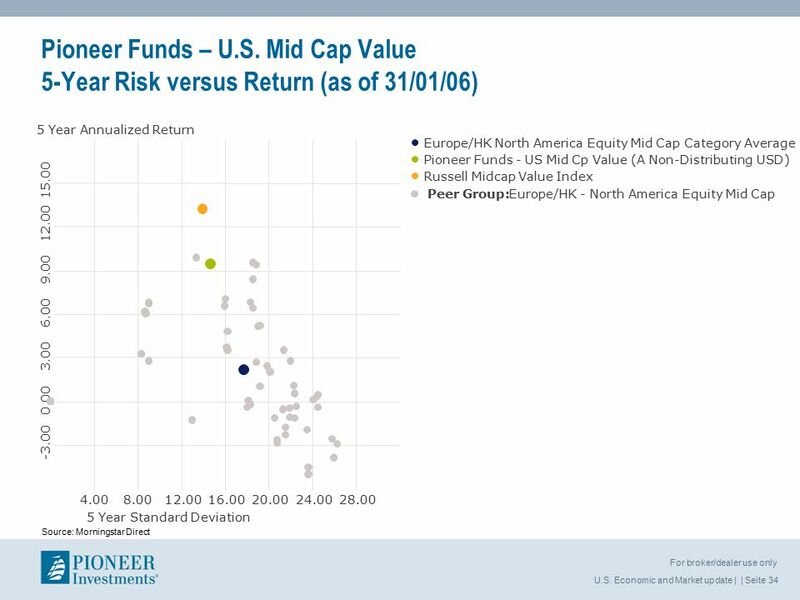 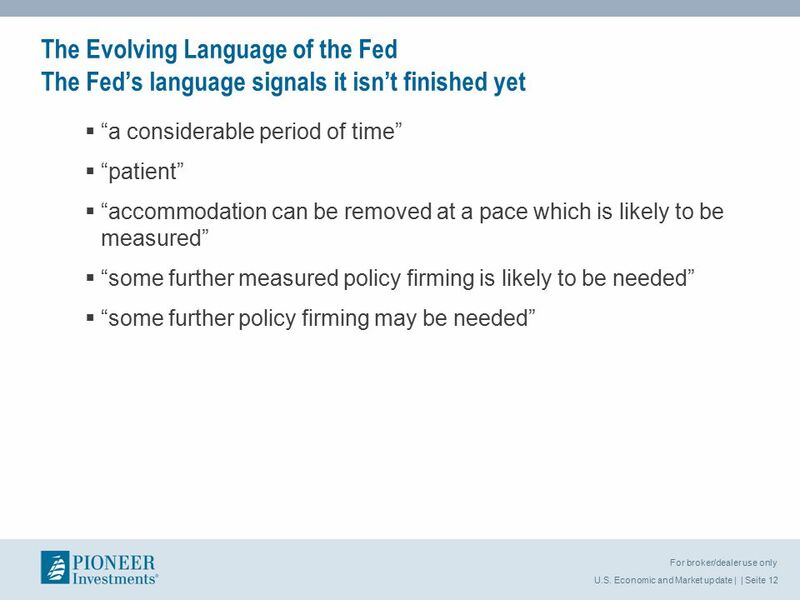 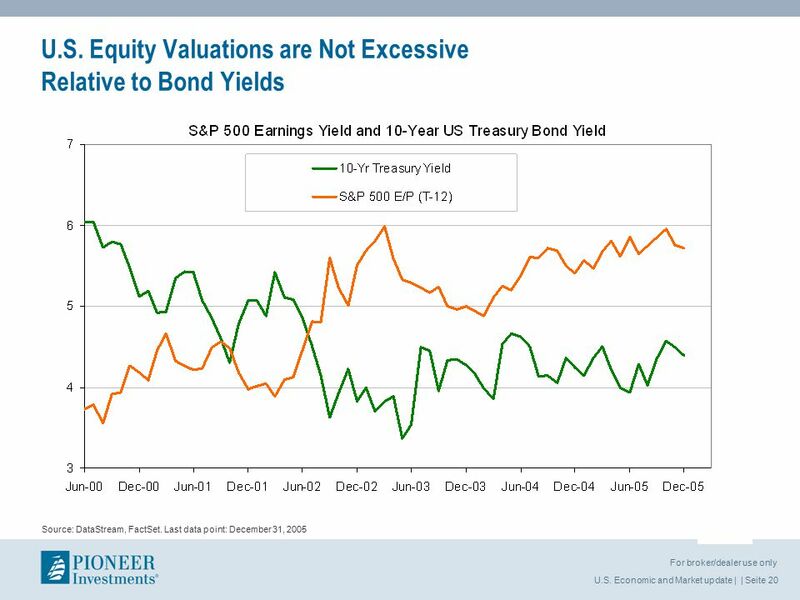 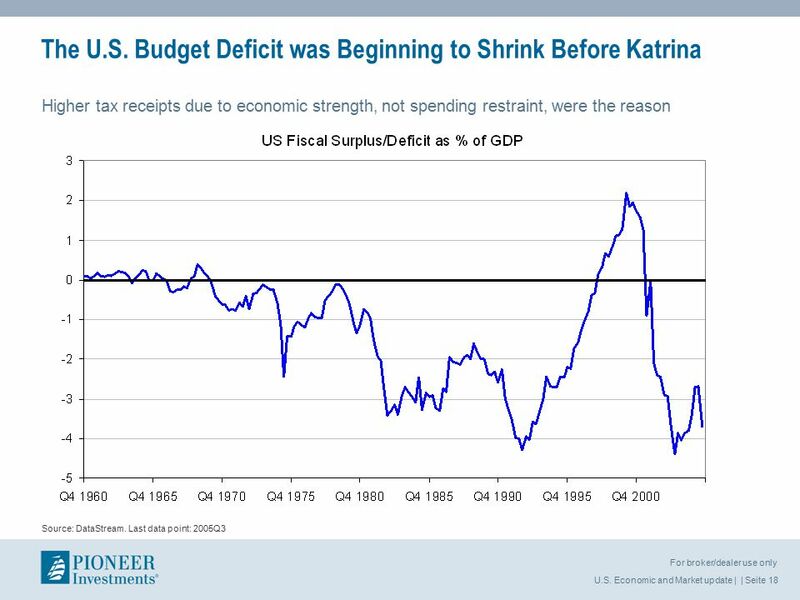 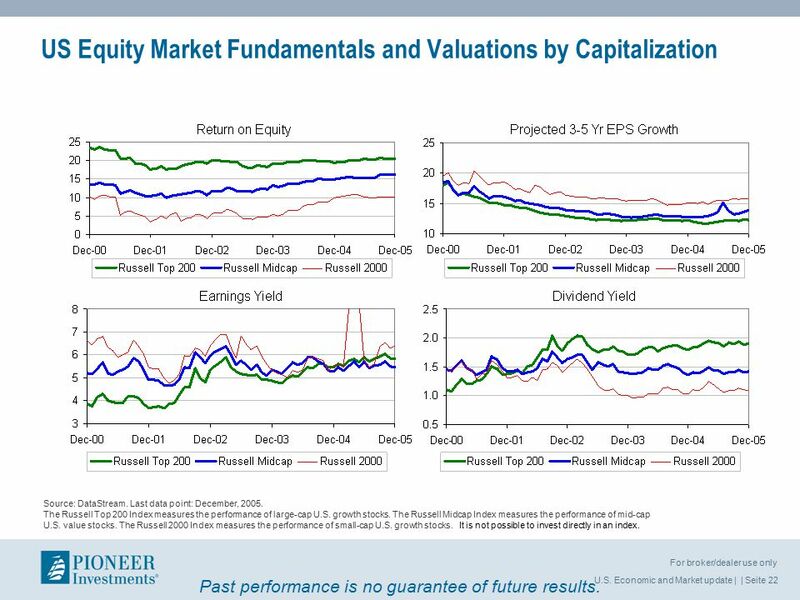 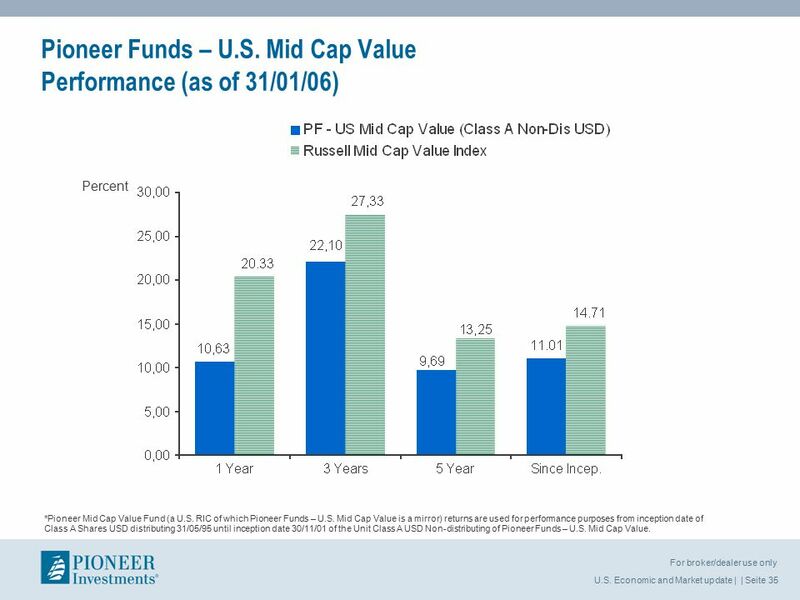 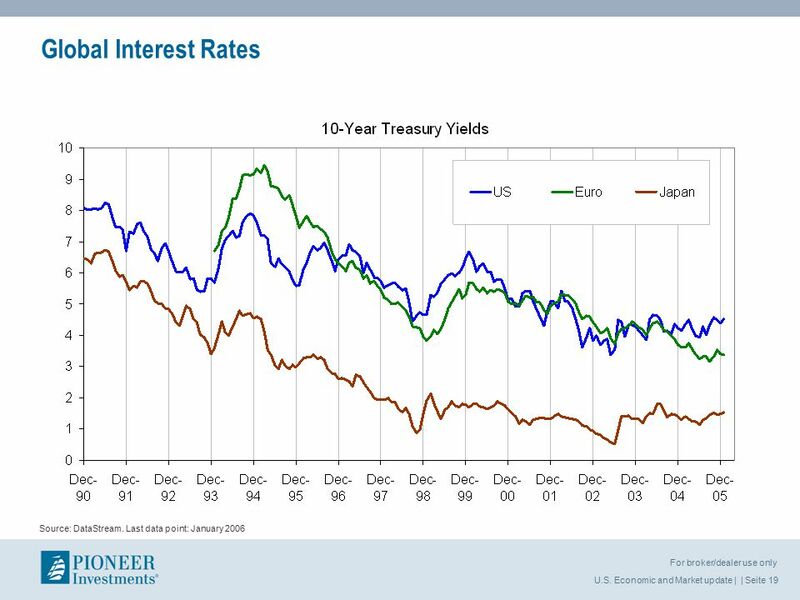 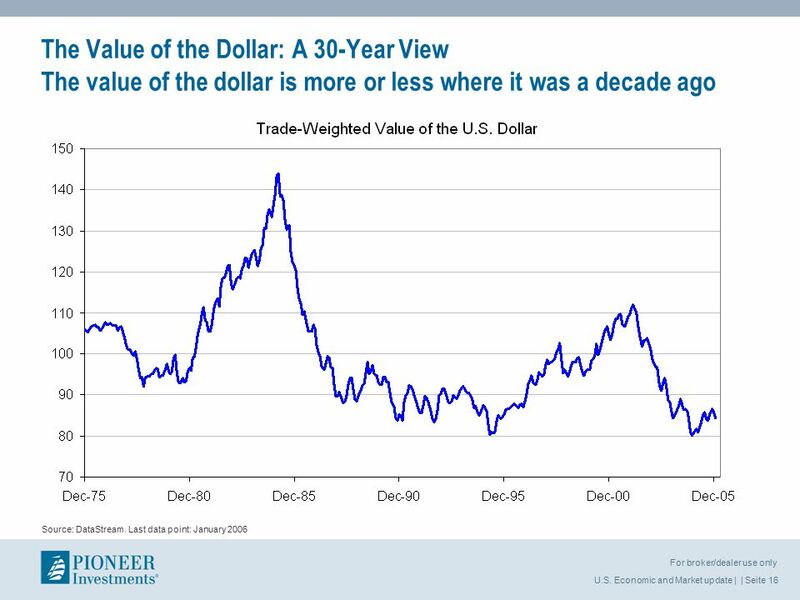 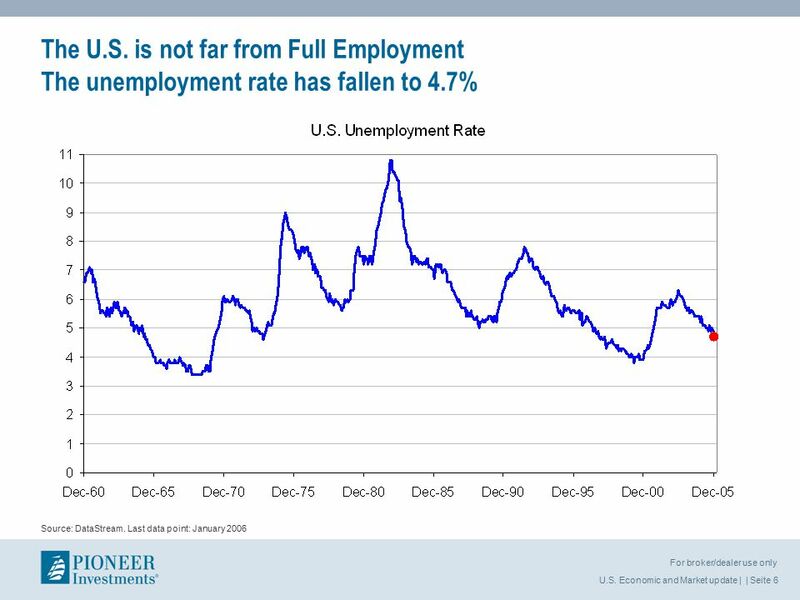 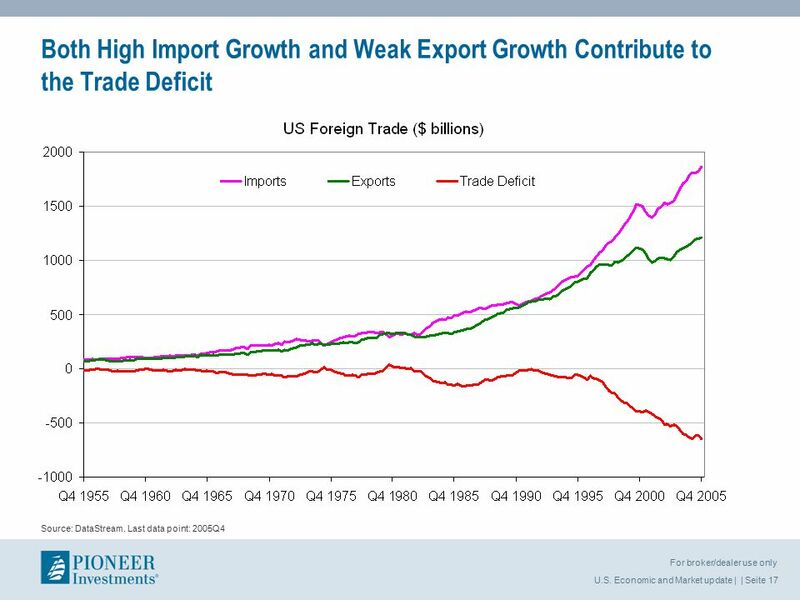 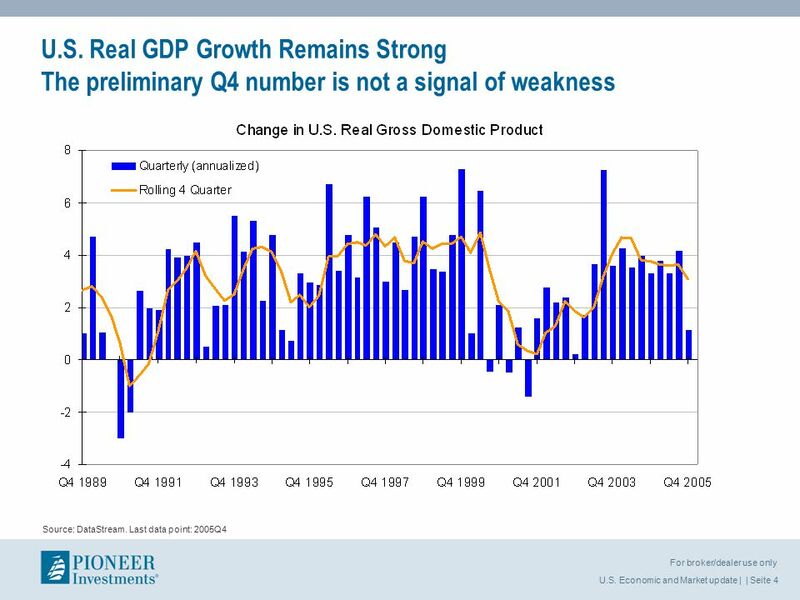 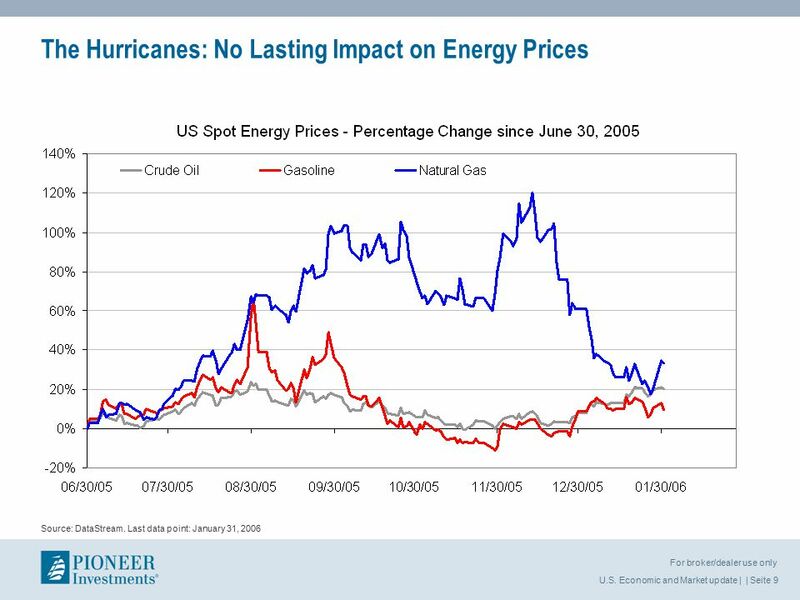 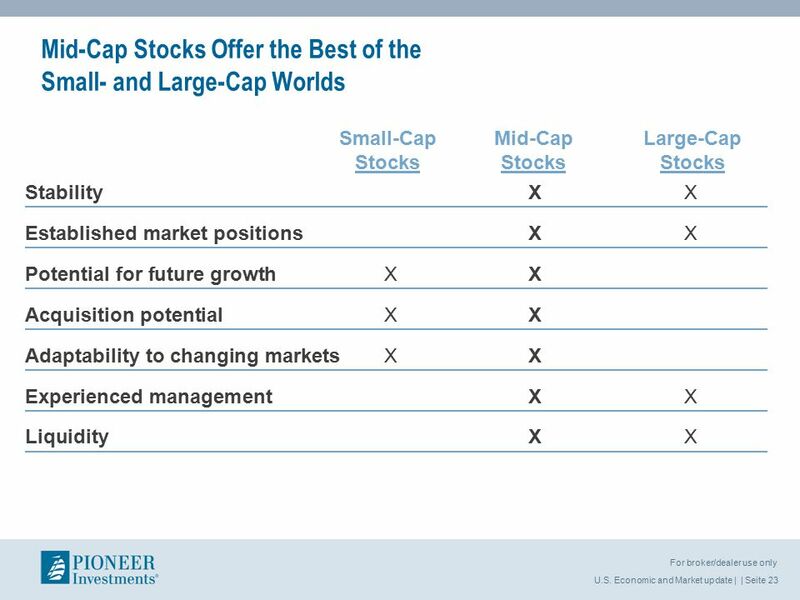 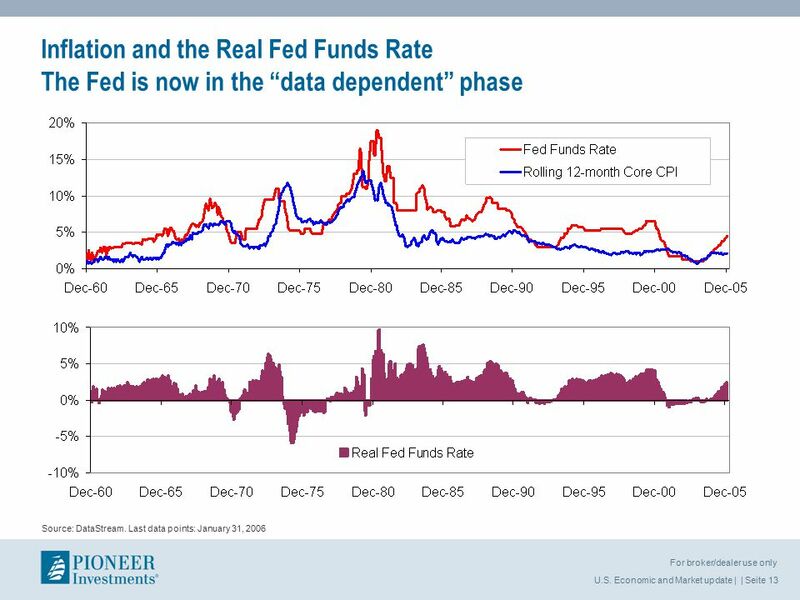 Herunterladen ppt "U.S. Economic and Market Update Fund Focus: Pioneer Funds – U.S. 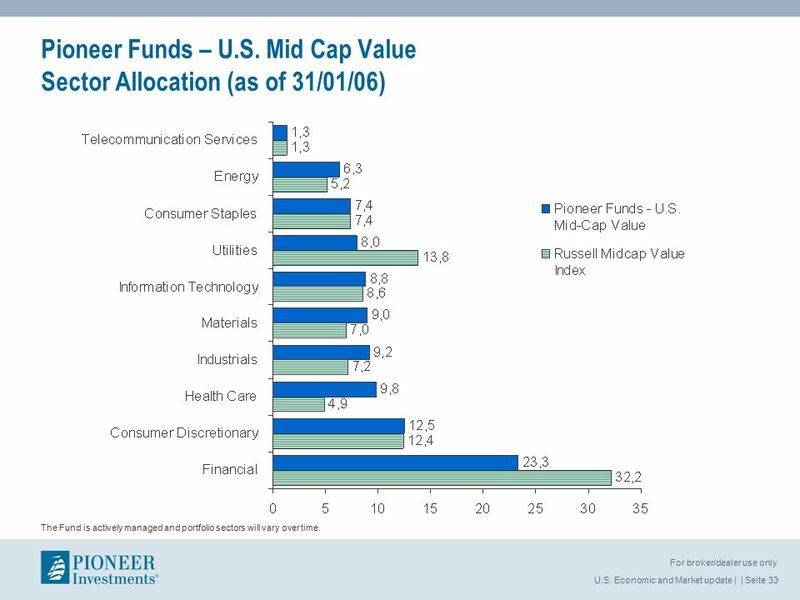 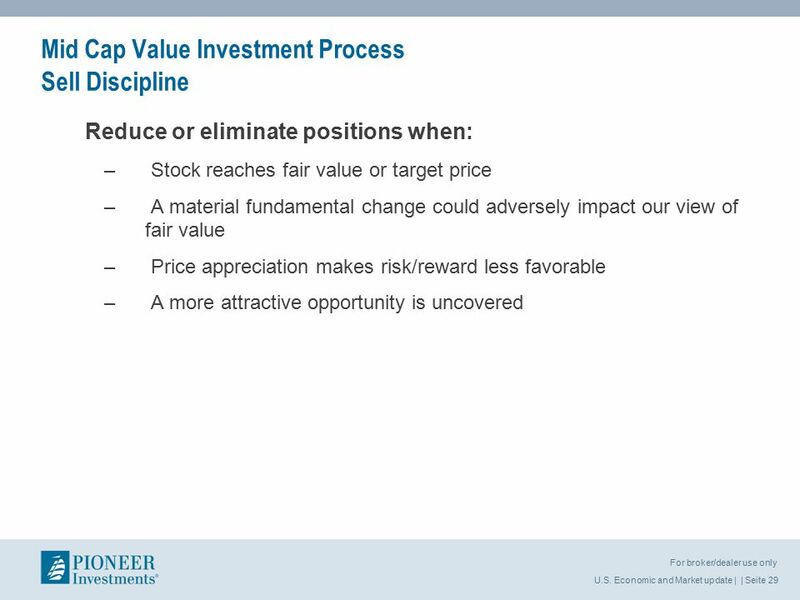 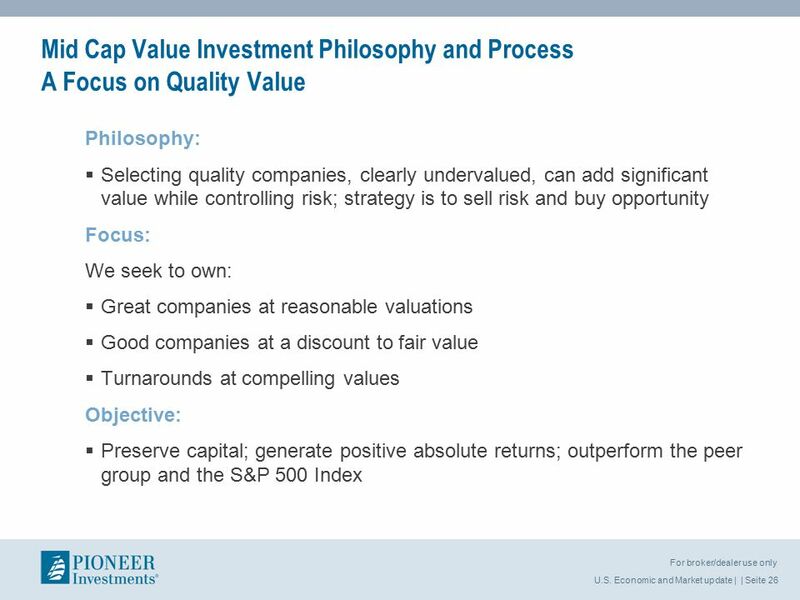 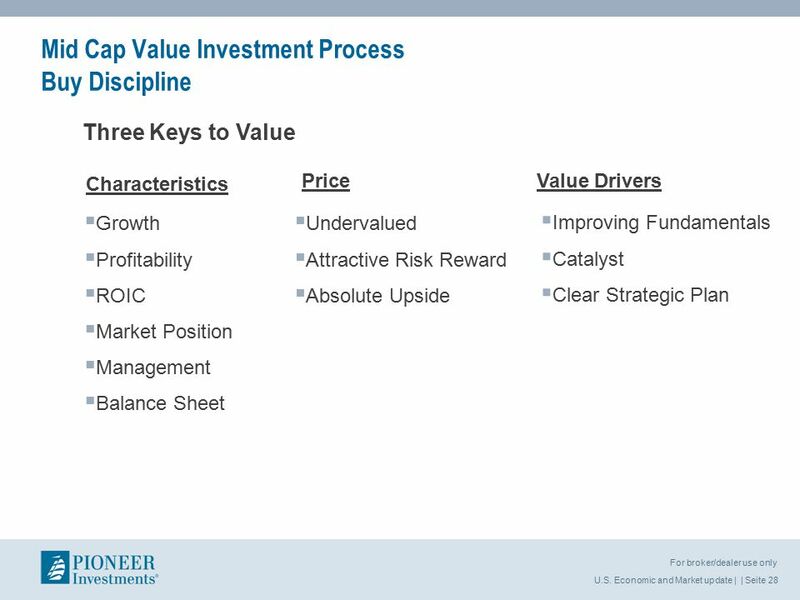 Mid Cap Value Samuel A. Wardwell, CFA Senior Vice President, Director of Investment Communications."